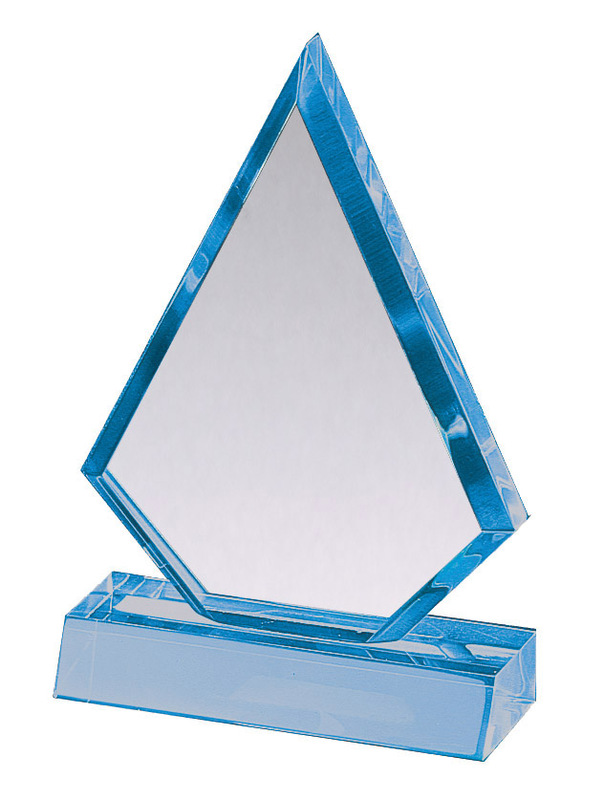 PRODUCT SIZE: 5.5 x 7.75"
DESCRIPTION: Acrylic Triangle Blue Award. Available in 2 Sizes. DECORATION DETAILS: Prices shown include one engraved imprint position.Additional Imprint Position add $10.00 (c) per location.